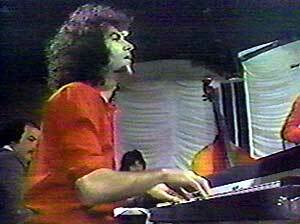 Allan played with Maynard on his 1974 World Tour. On the Chameleon album, Zavod plays Piano & Electric Piano. 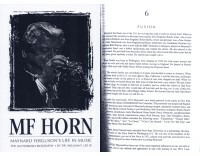 In Maynard's official biography: MF Horn - Maynard Ferguson's Life In Music (By Dr William F Lee III), Allan has provided insight into his time with Maynard. 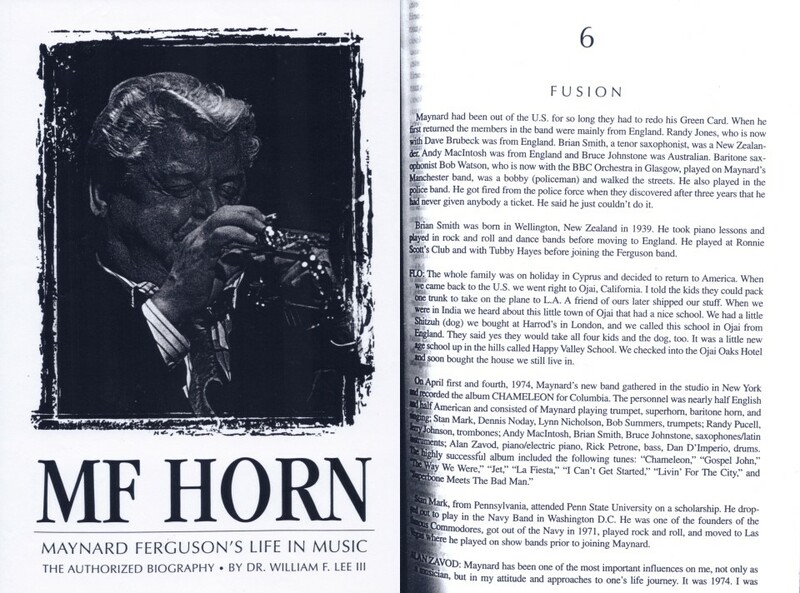 The following are Allan's excerpts from the book... mostly from Chapter 6 "Fusion". "Maynard has been one of the most important influences on me, not only as a musician, but in my attitude and approaches to one's life journey. It was 1974. I was teaching at the Berklee College of Music in Boston when I was asked to sub for Maynard's new keyboard player who was on his way from England to join the band. It was to be a week of rehearsals and three gigs. Three days and I was in love; in love with Maynard, the organization, the band, and especially animal drummer Dan D'Imperio and Rick Petrone, bassist from hell! Maynard brought out the animal in all of us. This was too much fun and during that week I threw Maynard my best boyish grins in the hope that he would keep me on. A week turned into a year. As a performer Maynard gave his all and expected nothing less from his band. We played our little arses off every time, even on no sleep. Sleep didn't seem to matter because Maynard always had a powerful energetic vibe which we all wanted to be a part of. 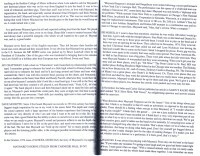 Maynard was, and is, a great leader." 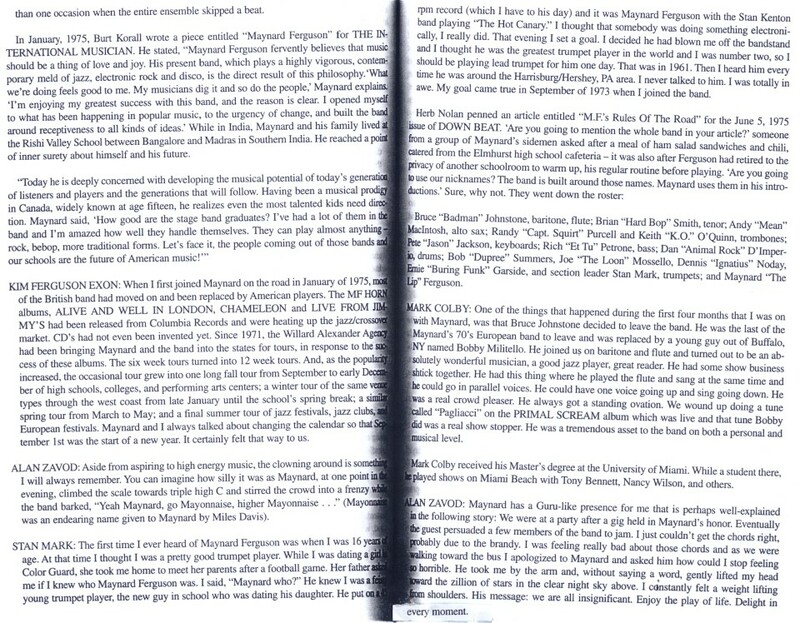 "It was always fun playing with Maynard. From day one his brief to the band was, 'If you make any mistakes I'm going to just laugh and you guys had better make light of it too. I want good vibes on stage.' With a relaxed attitude such as that we rarely made mistakes and when we did the whole band made them together. 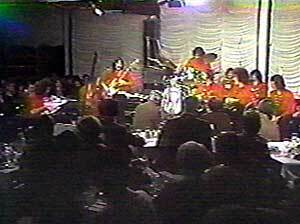 I can remember on more than one occasion when the entire ensemble skipped a beat." "Aside from aspiring to high energy music, the clowning around is something I will always remember. You can imagine how silly it was as Maynard, at one point in the evening, climbed the scale towards triple high C and stirred the crowd into a frenzy while the band barked, 'Yeah Maynard, go Mayonnaise, higher Mayonnaise...' (Mayonnaise was an endearing name given to Maynard by Miles Davis)." 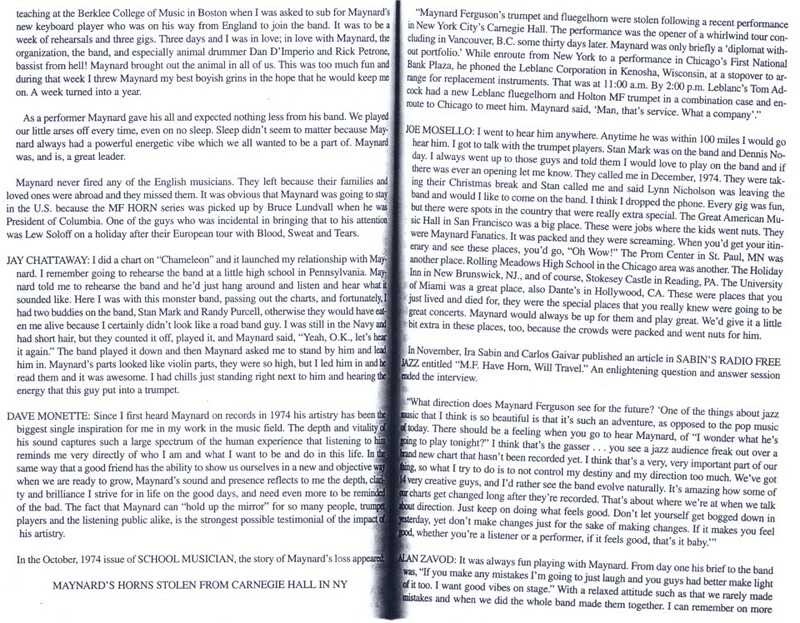 "Maynard has a Guru-like presence for me that is perhaps well-explained in the following story: We were at a party after the gig held in Maynard's honor. Eventually the guest persuaded a few members of the band to jam. I just couldn't get the chords right, probably due to the brandy. I was feeling really bad about those chords as we were walking toward the bus I apologized to Maynard and asked him how could I stop feeling so horrible. He took me by the arm and without saying a word, gently lifted my head toward the zillion of stars in the clear night sky above. I instantly felt a weight lifting from my shoulders. His message: we are all insignificant. Enjoy the play of life. Delight in every moment." 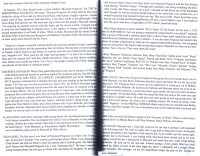 Allan's excerpts from Chapter 6 "Fusion"